In Marketing AI®, innovative marketing executives Stevan Roberts and Greg Grdodian, both of Reach Marketing LLC, bring their decades of experience to the forefront to illustrate what artificial intelligence and automated marketing can do for your business. From gaining a thorough understanding of your customers to using an integrated lead life cycle program to effectively engaging with your audience for sustained revenue growth, this valuable guide showcases how the latest technology will coordinate every aspect of the marketing process—in ways that no conventional strategy can provide. Read The Kirkus Review Below or go the the Kirkus Review site . Once upon a time, marketing a product or service required laborious rounds of trial and error and outright guesswork, defying any scientific systematization. Radical progress in technology, however, especially regarding the collection of data, has revolutionized marketing, transforming its predictive powers. Authors Grdodian and Roberts, marketing professionals who founded the company Reach Marketing, argue that the next level of technological advancement is an artificial intelligence marketing program that aims at automation, or the self-regulation of the many aspects of marketing. In principle, such a system should be synoptic, covering the targeted search for new customers, the development of content, the oversight of the entire multichannel landscape, and the subsequent analysis of all pertinent data. Automation, as they understand it, does not mean an ungoverned marketing strategy but, rather, a faster, more responsive one that requires less time and speculative hypotheses. In fact, they argue that automation should enhance overall creativity by freeing up the opportunity for its expression: “It’s a powerful tool for amplifying your marketing team’s brightest ideas and for freeing it to focus on creative while your automation software handles the execution.” The ultimate aim is to satisfy time-honored metrics via modern means. Despite their focus on innovation, Grdodian and Roberts discuss the spectrum of marketing approaches, including traditional types like direct mail, email, and telemarketing, as well as the basic principles of search-engine optimization and search-engine marketing. In each of these cases, though, they urge the use of an AI marketing program to score better results. There are also incisive reconsiderations of the purpose and power of landing pages as well as a necessary treatment of data analysis. The authors are notably comprehensive in their coverage of the topic, and they write with welcome clarity given the esoteric technicality such subjects often invite. Also, their research is undeniably rigorous and based on extensive, rich experience in the field. Sometimes the prose reads like an infomercial for their business, but the guide remains persuasive and edifying nevertheless. My expectation level when I purchased this book was for some mighty dry reading, lots of boring graphs and many “pie in the sky” theories about how machines would someday take over the role of Marketing Director. After all, having grown up in the 1960’s Hollywood portrayed a future filled with machines fulfilling most functions of man’s labor. Having spent the better part of the past forty years in the Direct Marketing industry I was aware of who Stevan Roberts was. 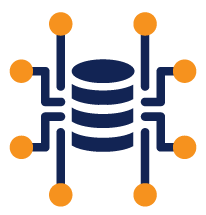 He has been an innovative force in database marketing for a very long time and his name is recognized by most professional marketers. I was not as familiar with Greg Grdodian but had heard the name a few times and have seen articles that he has written in trade organs. What became immediately apparent to me was that Roberts and Grdodian are two extremely knowledgeable professionals who know how to write what could be very dry material in a very interesting way. The premise of the book is that by automating the process of marketing (in all its phases) one could build a system that learns and improves upon itself. The use of extensive research is just right, mixed with their combined experience in the industry, in order to bring about a book that I thought would be like a “text” book but turned out to be more like a non-fiction story. This is the best book I have ever read that covers any aspect of marketing. 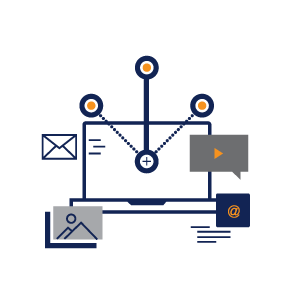 It leads you by the hand through the processes of telemarketing, email marketing, direct mail and “web” marketing and how to automate the flow of each part of it. The book shows you how to measure your results and tweak it automatically so that the machines “get smarter” as it gains experience. Artificial Intelligence is not a concept for the future… it is a reality for todays marketing professional. 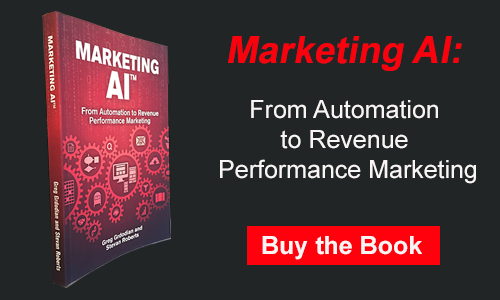 Marketing AI(TM): From Automation to Revenue Performance Marketing is a MUST READ for anyone in the profession of marketing. The corporate world seems to shun clarity in writing. When I read most books on content marketing or mar-tech, which happens fairly often as I’m a content writer, I sometimes open them with resignation. There are only so many times I can read the words “leveraging” or “paradigm” or “disruptive” without going cross-eyed. Surprise, surprise: This book was not only useful enough to earn a coveted spot on my easy-to-reach middle bookshelf, but it was also a good read in its own right. 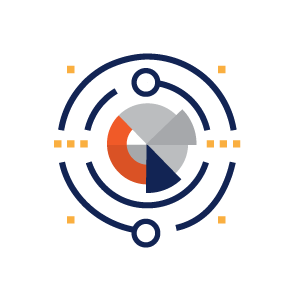 Grdodian and Roberts have put together a comprehensive overview of marketing AI — that is, a fusion of marketing automation technology and human intelligence — that has really sharpened my focus as a content creator. I know how to write, but after reading this book, I understand more about why I write, who our company’s audience is, and how I can give them more of what they need. This book puts what I do in context, making what I write more compelling to our readers and sending more potential customers to our sales team. It may sound weird, but I geek out a little over outlines and tables of contents. They’re the armature on which the writing’s built, and they need to be well-designed to hold up the concepts the authors want to get across. The solid structure here helped the ideas click for me. Marketing AI is divided into six logical segments that work both as a coherent start-to-finish narrative and as a quick reference guide for finding exactly what I need to know. You start off learning about marketing AI as a concept, then move through Discovery, Execution, Distribution, Analysis, and finally a case study that put everything together. These guys know their stuff, and after reading Marketing AI, I know my stuff a lot better too. If the book’s this useful to me, I know how much professionals higher up the food chain will get out of it. If I were a CMO or business owner, this would be one of the books I reached for first. 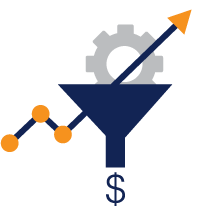 I enjoyed reading Marketing AI(TM): From Automation to Revenue Performance Marketing,” written by industry veterans Greg Grdodian and Steve Roberts. I do have to be honest; I was a bit skeptical, as for me, many books about marketing automation get too technical (in the weeds) or too elementary (boring) or promise what’s not believable. That wasn’t the case with “Marketing AI™.” Refreshing! There’s more but I’m off to engage another opportunity. Buy the book.